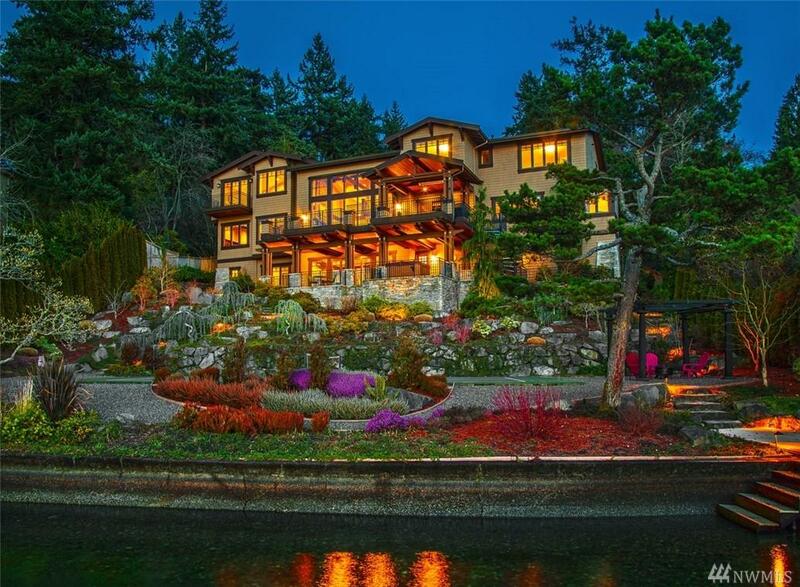 Stunning Northwest Craftsman on Lake Washington sited on over acre lot with 110 of west facing waterfront. Captivating post & beam construction. Authentic in character w/the finest details & finishes. 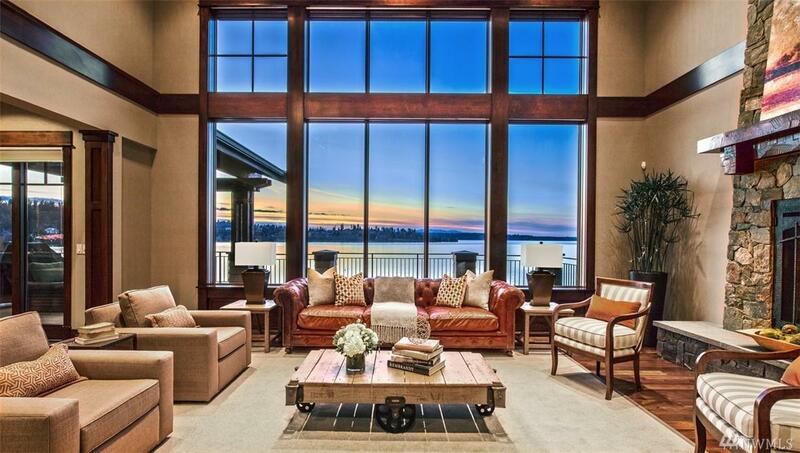 The great room, with floor to ceiling windows, is magnificent in scale & design. Perfection in the master suite: views, fireside sitting area & spa-like bath. 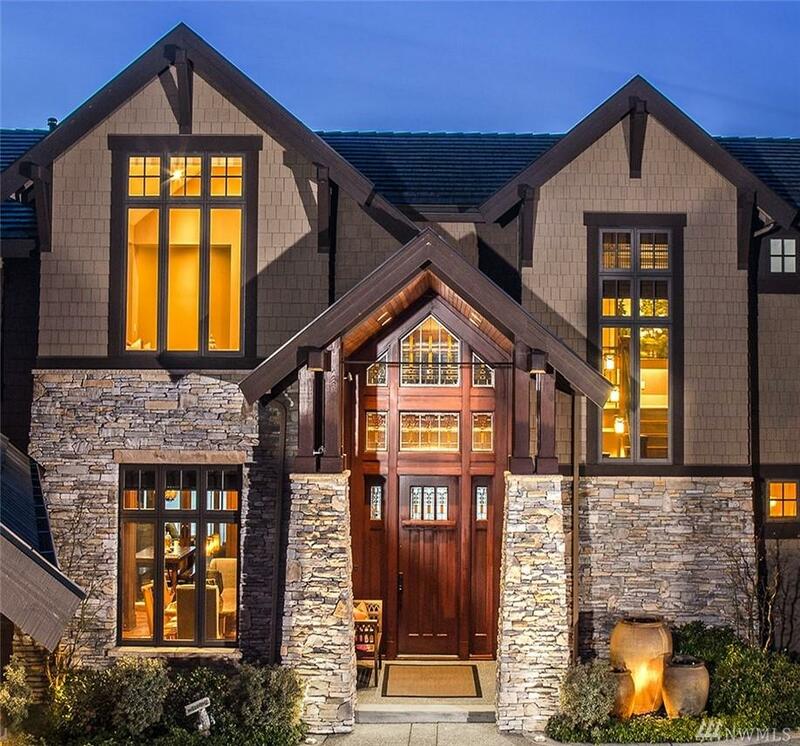 Adorned with luxury amenities: rec room/media room, library, sport court, private dock & garages for 4 cars. Your dreams begin here!